--> Mizoram’s brave little warriors won the National Games gold, beating Punjab 1-0 in the final, in front of more than 25,000 enamoured fans in Kozhikode, Kerala. --> Punjab, for the second National Games in a row, had to settle for silver. --> Athletics competitions of the 35th National Games commenced in Kerala University Stadium on 9 February 2015. --> O.P. Jaisha won first athletic gold for Kerala by finishing first in the women’s 5,000m with a new Games Record time of 15:31.37 (previous 15:54.26 by Kavita Raut of Maharashtra in Ranchi 2011) in 35th National Games. --> Services got their first gold medal as G. Lakshmanan clocked a personal best 13:50.05 to win the men’s 5000m race. His time also bettered the previous Games Record of 14:11.99 held in the name of Soji Mathew since the Ranchi edition four years ago. --> Vodafone India on 9 February 2015 elevated enterprise services head Naveen Chopra to the role of chief operating officer, effective April 1. --> Naveen Chopra, director -Vodafone Business Services (VBS), will succeed Sunil Sood as the COO at the Indian unit of Vodafone Group Plc with effect from April 1, 2015. --> Government on 9 February 2015 gave additional charge of Managing Director and CEO of Punjab National Bank to Gauri Shankar, senior most executive director at the bank. --> Shankar has been entrusted the additional charge with immediate effect, PNB said in a statement. --> The post of full time Managing Director and CEO has been vacant since November, when the then Chairman and Managing Director K R Kamath failed to get extension from the government. --> Adani Enterprises on 9 February 2015 signed a pact with the Rajasthan government to develop the country's largest solar park in the state with 10,000 MW capacity over the next 10 years at an estimated investment of about Rs 40,000 crore. --> The company will set up solar power project of 5000 MW on its own in the next five years. 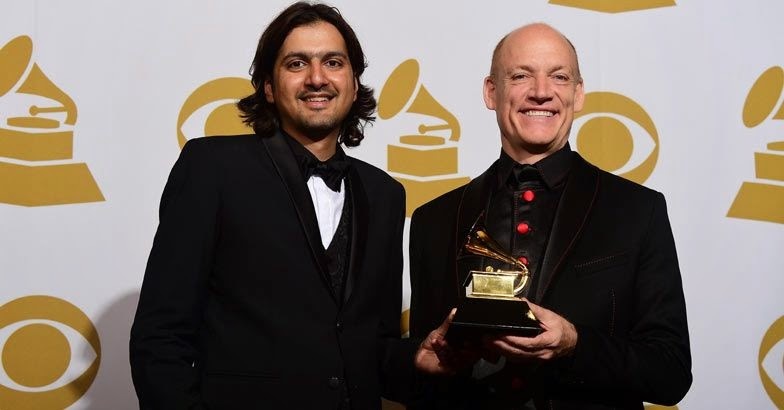 --> Musician Ricky Kej and activist Neela Vaswani won at the 57th Grammy awards for their work in album 'Winds of Samsara' and the documentary on Malala Yousafzai, respectively. --> Kej was declared a winner for his collaborative album 'Winds of Samsara' in the New Age Album category. The Bengluru-based artiste teamed up with South African flautist Wouter Kellerman on the album. --> Out to achieve the goal of ‘Digital Haryana’ and keep pace with rapidly evolving technologies, the Haryana Government is set to roll out Information Technology Mass Literacy Scheme or “Digital Saksharta Abhiyaan”, to make the people of the state digitally literate. --> With the inauguration of a web based payment monitoring system by the Union Minister of Road Transport, Highways and Shipping Shri Nitin Gadkari on 9 February 2015, the Ministry of Road Transport and Highways has made payment process for National Highways (NHs) related works and services more transparent. --> Besides, the new monitoring system will also facilitate easy communication between various offices and allow a user to track the status of a bill. --> Union Minister of State for Textiles (Independent Charge) Santosh Kumar Gangwar inaugurated the newly built, state-of-the-art, high capacity Cold Storage Plant for silkworm egg at Mysuru recently. --> Cold Storage Plant is an indispensable facility in silkworm egg production system, principally to enable uninterrupted supply of basic and commercial silkworm seed. --> Singapore President Tony Tan Keng Yam has begun a four-day state visit to India recently, as the two countries mark 50 years of the establishment of diplomatic relations. --> "This is President Tan's first state visit to India, and will showcase our longstanding and strong relations with India as we commemorate the 50th anniversary of the establishment of diplomatic relations between India and Singapore in 2015," the Ministry of Foreign Affairs said. --> The acclaimed Journalist Vinod Mehta on February 9, 2015 was awarded the Yash Bharti Samman 2015 by the government of Uttar Pradesh. --> The award was given by the Chief Minister Akhilesh Yadav to Mehta's family as he could not attend the function due to a medical problem. --> This award is given by the UP government for excellence in literature, fine arts, folks, sports and classical music. --> The British Academy of Film and Television Arts (BAFTA) is an independent charity which aims to support, develop and promote the art form of the film, television and games. --> The 68th British Academy Film Awards were held on February 8, 2015 in London at the Royal Opera House. --> The 57th Annual Grammy Awards were announced at the Staples Center in Los Angeles, California on 9 February 2015. --> Grammy Awards (originally were called Gramophone Awards) are the recording industry’s most prestigious award presented annually by National Academy of Recording Arts and Sciences (NARAS) of the United States.